Though there has been a major concern about black women in the science and tech industries, but many have made major strides. African-American women contribute daily to new research, advances and innovations in medicine, holding the torch passed to them by pioneers who broke racial and gender barriers. Madame Noire takes a look at seven such women who are excelling as surgeons, researchers and physicians. Jane Cooke Wright’s father set the bar pretty high by being one of the first blacks to graduate from Harvard Medical School, the first black doctor on staff at a New York City municipal hospital, and New York’s first black police surgeon.Â However, Jane Cook Wright successfully emulated his example.Â In 1964, President Lyndon Johnson appointed her to the President’s Commission on Heart Disease, Cancer, and Stroke. 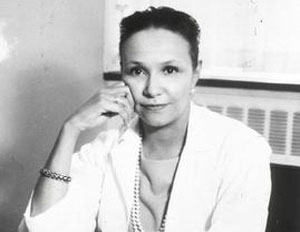 In 1967, at the age of 48, Wright became professor of surgery, head of the cancer chemotherapy department, and associate dean at New York Medical College.Â These accomplishments made her the highest-ranking black woman at a nationally-recognized medical institution.Â In 1971, Wright also became the first female president of the New York Cancer Society.